An integrated approach to the management of quality, health & safety and environmental impact means you can be sure you are choosing the right partner for your glazing or translucent materials project. We are full members of the Centre for Window and Cladding Technology (CWCT); the Construction Health & Safety Group (CHSG), ConstructionLine (Silver), Builders Profile and BuildingConfidence. 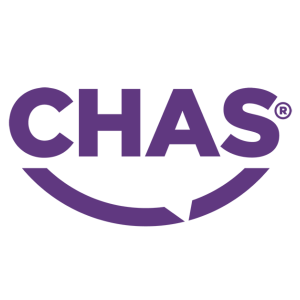 We hold accreditation from the Contractors’ Health and Safety Assessment Scheme (CHAS Premium Plus) and SafeContractor. Over 40,000 man-hours were expended on the project during the 12-month on-site period without any major incidents or accidents. We would not hesitate to use Structura UK again.